Paisley and LL responded to the uproar in an exclusive interview with ABC News, in which they explained the intent of the song, and kinda made things worse. In their interview this morning, Paisley thought it was worthy to “ask the question,” while LL offered up a Martin Luther King quote to explain the spirit of the song. Wait, what? 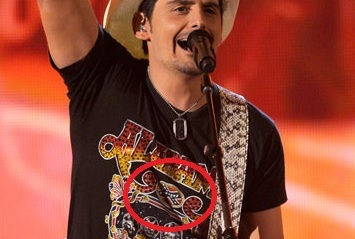 I thought this was all some hypothetical deal, you mean to tell me that Brad Paisley actually wears shirts with Confederate flags on them? So, wait, does LL Cool J really work at Starbucks? 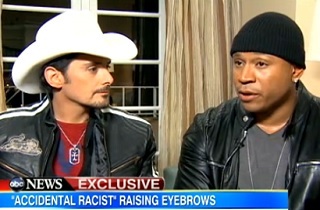 Brad, I know LL is trying to be nice, but it is not okay to wear Confederate flags if you’re trying to fight racism. We get that your heart is in the right place, and you wanted to start a conversation about racism, but normalizing a symbol of it is not the place to start, or finish, that conversation.